Making Plans and getting bids! Now that we have narrowed down the list of possible contractors, it’s time to design your home, have blueprints made, and get bids. The stage for building your home is set by the design process. To avoid costly budget increases and the inconvenience of delays, take your time in selecting the floor plans and layout of the home to ensure it matches your personality and lifestyle, both now and in the future. For example, if you may have children in the future, plan bedrooms and a bathroom with kids in mind. 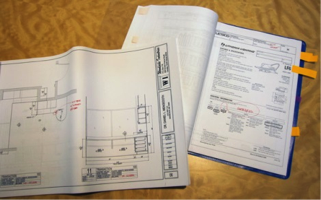 For the bidding process, each contractor will need a complete set of blueprints, an idea of what you want in your new home, and a budget to show much money you want to spend. From this information, the contractor will compose a bid. Materials usually account for 40 percent of the total cost; the rest covers overhead and the typical profit margin, which is between 15 and 20 percent. Once you have accepted a bid, keep in mind that changes will increase the actual cost. Hire your contractor based on work ethic and the quality of his work. NEVER hire a contractor merely based on the fact that he has the lowest bid! 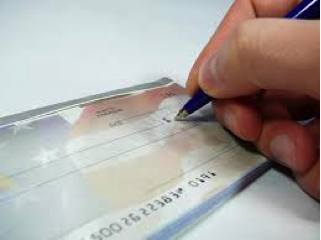 Setting a payment schedule usually starts with 10 percent down at contract signing. Then it can vary for the payment schedule. However, it is common to have three payments of 25 percent spaced over the duration of the project and a check for final payment once you feel that every item has been completed and you are happy with the finished result. If the contractor asks for half the bid price upfront, he may be having financial problems or is worried that you will not be happy with the finished work. Have a contract drawn up that details the steps of the project, the payment schedule, the start date, and the completion date. Make sure it also specifies the materials and products to be used. 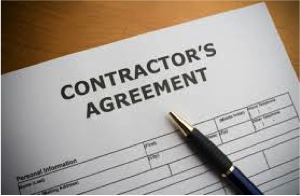 Additionally, you will want to include a clause that the contractor must get a lien release from the suppliers and subcontractors indicating that he is responsible for paying them and not you! Stay tuned for tips on The Budgeting Process! We’ll post that blog in a few days. Building your dream home will be one of the most substantial investments you will ever make. The key to making your dream a reality is having the right contractor. Feeling nervous about choosing a contractor? Relax, we have a few tips to help you; and rest assured, most contractors are honest, dependable, hard-working people. When choosing a contractor, the first thing you need to do is get recommendations from friends and family. You can search online for contractors in your area, or call the folks at Torron Group; they are always ready and willing to assist in making your dream become a reality! 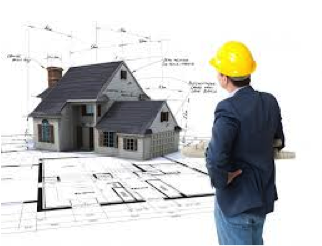 Ø Will you give me names and addresses of previous clients for whom you have built homes? 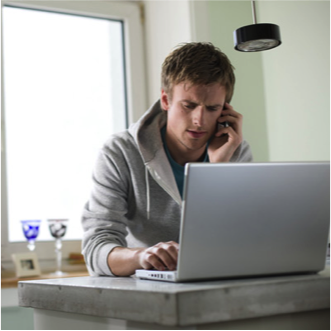 If a contractor isn’t willing to give contact information from prior clients, there could be an issue that he doesn’t want perspective clients to know. Ø How long have you been in business? 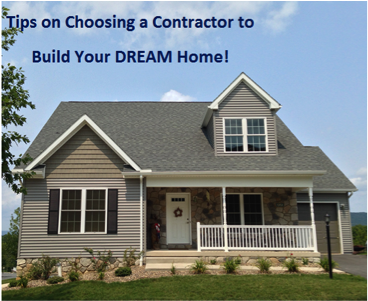 You want a contractor with experience to be building your DREAM home. Ø Do you have any liens against your finished projects? intended. And this is someone with whom you do not want to get involved. Ø What sets you apart from the rest? A contractor should have a sense of pride and very easily be able to tell you what sets him apart from the rest. Ø Do you have any other outstanding bids right now? Ø Do you have insurance? If you hire a contractor without Workers Compensation insurance, you may be held liable for any injuries to the workers. Be sure that the contractor has liability insurance, also. Ø How many jobs does your company have in progress right now? If he has too many, will your job get lost among these? Ø How do you manage your jobs on a day-to day basis? Ø Who will be on-site and in charge of my job each day? Ø Who are your top three material suppliers? Contact the General Manager at each place. Is the contractor in good standing? You don’t want them using your money to pay off previous debt. Ø Do you supply notarized affidavits or release of liens BEFORE I give you payment of any kind? The answer to this must be "YES!" It is unconditional. Ø What is the average length of time they have worked for you? You are looking for five or more years here! Ø Do these individuals have Workman's Comp & General Liability coverage? The answer to this better be YES! Ø Can you supply me with the individual certificates from each company to prove this? When will I have them? Write down the date he says he can deliver them. Ø How was the builder to work with? 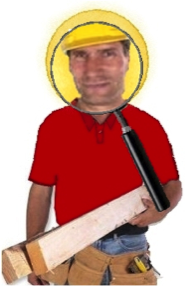 Ø Did the builder stay within the budget or were there additional expenses? Ø Would you hire him for another job? Ø How was communication with the contractor? Was he accessible? Visit one of the sites where the contractor is presently working. Is the site neat and safely maintained? Are the workers polite and considerate of the owner’s property? Contact the consumer protection agency and the local Better Business Bureau to see if the contractor has any complaints against him. Contact the liscensing office if your state has one to be certain that he has a license and to find out if the contractor has any complaints against him. Now that your investigating is finish and you have weeded out the contractors that are not suitable for you needs, it time to make plans and get bids! Stay tuned for some helpful tips on making plans and getting bids! Building your dream home involves many steps. Each week we will offer information on a new step, so please keep coming back for more information. The first step to building your dream home is to find your dream location. Know where you want to live and really think about what you’re looking for in a new neighborhood. Do some investigating and find a neighborhood that fits your expectations. As with most things in life, compromises will have to be made; decide what is most important to you. Then make a list and prioritize into three categories; put the “must-haves” at the top and the “would-like-to-haves” in the middle and the “can-live-with-outs” at the bottom. If you have children or are planning to have children in the future, you will want to research the school systems. You will also want to explore area parks, recreation and other community events available for children. How far are you willing to commute? Do you want to walk to work? Is there public transportation available? What style of home do you want? Do some research on the variety of homes offered and choose the one that best fits your wants and needs. Do you want to be within walking distance of shopping areas, restaurants and parks? In what type of a neighborhood do you want to live? Historic or new neighborhood? What do you like and dislike about your current neighborhood? Does the neighborhood have an association? Do you want to participate in the association? If you are looking to locate in the State College Area, be certain to research Springfield Commons, located in Boalsburg, PA.
Springfield Commons is nestled at the foot of Tussey Mountain in Centre County and offers a Traditional Neighborhood Design that complements the historic character of Boalsburg. Springfield Commons is conveniently located five miles from The Pennsylvania State University and downtown State College, with easy access to PA Route 322 and I-99. For more information on Springfield Commons, contact us at Torron Group at 814-231-2800, Extension 2. Once you have chosen your neighborhood and the style of home you want to build, the next step in the process of “Building Your Dream Home” is to choose a builder to help you design and build your home. What is HECM? Who is eligible for it? Why would I want to consider it? HECM stands for Home Equity Conversion Mortgage. You must be at least 62 years old to qualify for the HECM program. And you must be a homeowner with a substantial amount of equity in your home. Under HECM, you borrow money against the value of your home. This money can be used to cover living expenses, pay for healthcare costs, eliminate debt, purchase a new home, etc. Instead of making monthly payments to the bank, the bank makes payments to you. Interest accrues on the money that is borrowed, but you do not have to make any payments on the loan until the home is sold or you pass away. At that point, the mortgage is due in its entirety. However, because the home secures the mortgage, the amount due can never exceed the value of the home. Many seniors are using this program to finance a new home that better meets their current needs. This allows you to live in a new home that is easier to navigate, is more energy efficient, and has lower maintenance costs – all this with no monthly mortgage payments. You always retain ownership of your home. No matter how large the loan balance is, you never have to pay more than the appraised value of the home. Springfield Commons is an FHA approved neighborhood, and we have lots available. For more information on our development, please go to www.springfieldcommons.net or call us at 814-231-2800, extension 2. For more information on the HECM program, search online for a HECM counselor or call 1-800-569-4287. Okay, so not everyone has an ENERGY STAR® certified home. No problem. As this video shows, just because your home may not be ENERGY STAR certified, it does not mean that you cannot save money on your electric bills. Of course, what is shown in the video is by no means an extensive list, but it is a good start. What else do you do to help save money on your electric bills?